Graham Kennedy wrote: Oh? Who does that apply to? What does it cover? In what areas? At what times? We don't know. It does, however, establish that a supra-national level of law exists. Sure, but we have no clue if it applied in that situation. 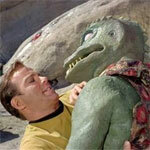 Or even if it existed in TOS rather that ST VI which took place 27 years later. Aren't the Ferengi D'Kora class ships largely privately owned? I always got the impression they are owned by some sort of merchant/pirat-captain and not any official form of ferendi-navy.....if such a thing even exists. Atekimogus wrote: Aren't the Ferengi D'Kora class ships largely privately owned? I always got the impression they are owned by some sort of merchant/pirat-captain and not any official form of ferendi-navy.....if such a thing even exists. Would there even be a difference in their culture? The merhants ARE the government there. The mercenary ship from "Unification" that the Ent.-D fought at the surplus depot at Qualor II was large and very well-armed. Baran's ship from "Gambit" was large, fast compared to some other ships, and seemingly well-armed. These were privately owned or at least un-affiliated with a government. Wasn't Yates' ship in DS9 privately-owned? True..but the point remains. Those are ships of almost GCS size which are privately owned. Which woult make them pretty much the largest privately owned vessels in the star trek universe. Are they owned by an individual? Jim wrote: Are they owned by an individual? I don't recall that it was ever said so explicitly, but dialogue in TNG sure seemed to indicate that individual daimons were principle, if not sole, owners of their vessels. It would make sense, then, that punishment for behavior which went against Ferengi standards (e.g., at the end of "The Battle") would partner seizure of property/asset forfeiture with removal from position. I'm quite confident the Xhosa was privately owned as I recall one of the subplots of an EP being about Cassidy taking Bajoran freight contracts instead of Federation ones. She was reasonably large, physically larger than a BoP IIRC. EDIT: Seriously necrod a thread there. I need to log in far more often. I always saw the Ferengi ships as like the privateers from the Elizabethan Age. In my mind, the Ferengi government would build them, or subsidized the building of the ships, and then leased them to corporations or individual daimons for a cut of the profits and a promise to return to the Alliance if for whatever reason it needed defending. This way they can allow the daimons to pursue profit, legal or illegal, yet remain some control if they go to far and threaten trade treaties with other powers or give them some plausible deniability. Also, in "Rascals", that daimon had surplus Klingon warships. Don't remember the class, though. In canon, I don't know what the largest "private" vessel is, but I think it is totally reasonable for there to be a privately owned capital ship out there. I can completely imagine a Richard Branson type out there in the galaxy (Yeah yeah, no money... bullshyte - there is an economy in Star Trek) with enough resources to come across a good sized capital ship re-purposed for private use. Beyond the mercenary ships we see, the D'Koras, or even the Birds-of-Prey acquired in "Rascals" I don't think there is anything to say that it would be impossible for Starfleet to decommission an older ship, send it for scrap and have the basic shell be bought up by private enterprise. Hell, we see a bunch of derelict ships in the Qualor depot, I could totally see a private civilian refit to one. If I recall correctly, it is possible today to buy a basic shell of a former military ship with all military-relevant technologies removed. Back about 10 years ago, I was toying with some fan fiction and I had actually envisioned an Excelsior-class vessel stripped of all modern weaponry and sensitive technology and re-purposed with civilian science equipment and run by a private exploration venture, not dissimilar from a present-day SpaceX company. If wanted to look at something a bit more nefarious, let's get a Mudd-like character finding himself an obsolete K'Tinga-class or something of the sort. I know it is all conjecture, but I don't think I'm being unreasonable here. Tough to say, because remember how many TMP-era ships that were in front-line service in DS9: Sacrifice of Angels, et. al. Starfleet doesn't seem to be in the habit of decommissioning ships much.